<h2>Cultural cross-fertilisation to rescue soils </h2><br /><p>At Wageningen University in the Netherlands, scientists are coding an app that will allow farmers in countries as far away as China to compare soil quality with their smartphones.</p> <p>With a flick of the finger, farmers will be able to post soil test results to the cloud and share details on how they work their fields. The platform will allow food producers in similar climates abroad to assess the long-term impact of these farming techniques and the merits of applying them to their own crops.</p> <p>Dr Luuk Fleskens, who is developing the app through the EU-funded iSQAPER project, says that farmers from different cultures have a lot to learn from each other. ‘The wheat growing area in north-eastern China is comparable to the conditions in eastern Poland,’ said Dr Fleskens. ‘Same crop and same conditions but different fertilisation strategies.’</p> <p>Since the introduction of the Nitrates Directive in 1991, the EU has limited the use of chemical fertilisers. In contrast, China’s wheat fields rely on chemical inputs, which gradually erode the quality of their soil.</p> <p>By offering a window into what has worked well in Europe, iSQAPER can help wean Chinese farmers off unnecessary growth additives. Likewise, the app allows vast testing facilities in China to share their results with EU researchers on emerging environmentally-friendly farming techniques.</p> <p><strong>Cross-checking</strong></p> <p>Cross-checking results has long presented a challenge in agronomy. Harvests vary each year depending on uncontrollable variables such as pest invasions and the weather. At present, agricultural records tend to be local and fragmented. Few farmers test their own soil and each country adopts its own metrics to evaluate field outputs and soil quality. Tools like iSQAPER are bringing big data within reach of agronomists for the first time.</p> <p>‘We now have a simple technology to communicate between researchers and farmers directly,’ said Dr Fleskens. ‘We are collecting a truly global dataset on soil quality.’</p> <p>The iSQAPER consortium will test its app across 14 sites in the EU and China before releasing a full beta version this summer. If the right testing standards and data ownership measures can be introduced, these measurements could turn into the first truly representative data sample on global soil. An archive on this scale would prove useful to check the effectiveness and sustainability of different farming techniques.</p> <p> <div class="quote-view quotesBlock quote_horizontal"> <div class="quotesTop"><img src="https://horizon-magazine.eu/sites/all/themes/horizon/images/quotes_top.png" alt="" title="" /></div> <p>‘We need to produce more food per acre if we want to nourish the world's growing population.’</p> <blockquote><p>Professor Oene Oenema, Wageningen Environmental Research, the Netherlands</p></blockquote> <div class="quotesBottom"><img src="https://horizon-magazine.eu/sites/all/themes/horizon/images/quotes_bottom.png" alt="" title="" /></div> </div> </p> <p>It’s a perspective that is urgently needed. According to Professor Oene Oenema at Wageningen Environmental Research, an increasing use of machinery, chemical fertilisers and pesticides in modern-day farming could be masking a worrying decline in soil quality.</p> <p>‘There is a matter of concern if you look at this from a global scale,’ said Prof. Oenema. ‘We need to produce more food per acre if we want to nourish the world’s growing population.’</p> <p>In China and other major food markets, the solution has long been to increase the dose of chemical fertilisers and pesticides. This ticking time-bomb places future agricultural yields at risk.</p> <p>As part of a project called SoilCare, funded by the EU, Prof. Oenema is helping identify and evaluate promising soil-improving&nbsp;cropping systems from 16 test sites across Europe. These involve, for instance, natural pesticides, smarter crop rotations and tricks to redress local populations of pollinators.</p> <p><a href="http://bit.ly/newsalertsignup" target="_blank" rel="noopener noreferrer"><img src="https://horizon-magazine.eu/sites/default/files/news-alert-final.jpg" alt="" width="983" height="222" /></a></p> <p><strong>Scrutiny</strong></p> <p>SoilCare coordinator Dr Rudi Hessel, also at Wageningen Environmental Research, says that controlled experiments are exposing established farming techniques to the scrutiny of science, sometimes running against millennia of malpractice.</p> <p>‘In some parts of Europe, farmers consider that fields do not look tidy if there are weeds or plants beneath the crops,’ said Dr Hessel. ‘That’s a cultural thing, but from a scientific perspective it is good to have other plants there.’</p> <p> <div class="moreInfoBlock"> <h3>The Issue</h3> <p>The declining quality of our soils, known as soil degradation, could have dramatic impacts on our food system. The Food and Agriculture Organization of the United Nations (FAO) estimates that <a href="http://www.fao.org/soils-2015/news/news-detail/en/c/277682/" target="_blank" rel="noopener noreferrer">95% of our food is directly or indirectly produced on soils</a> and the vast majority of food-producing plants need healthy soil to grow.</p> <p>It also impacts climate and health. Soils are one of the largest carbon storage areas on Earth, holding about twice as much organic carbon as above-ground vegetation, except in tropical ecosystems. 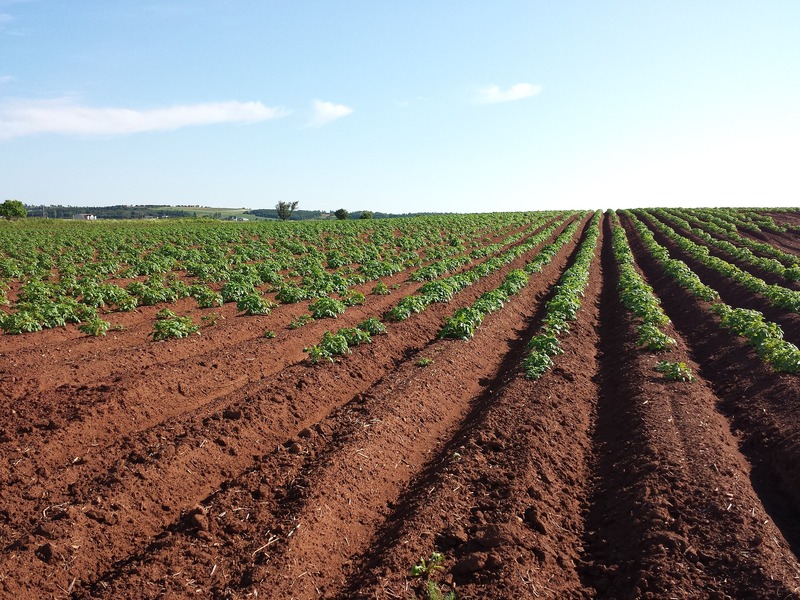 Poor soil quality could not only reduce this function but also lead to a greater incidence of diseases such as tetanus or parasites such as hookworm.</p> <p>In 2012, the EU’s <a href="https://ec.europa.eu/jrc/en/publication/reference-reports/state-soil-europe-contribution-jrc-european-environment-agency-s-environment-state-and-outlook" target="_blank" rel="noopener noreferrer">Joint Research Centre estimated</a> that the yearly cost of soil degradation due to human activities and natural causes in the EU could be €38 billion a year.</p> </div> </p> <p><em>If you liked this article, please consider sharing it on social media.</em></p> <br /> <img src=”http://www.google-analytics.com/collect?v=1&tid=UA-40077089-1&cid=cultural-cross-fertilisation-to-rescue-soils-&t=event&ec=republish&ea=read&el=cultural-cross-fertilisation-to-rescue-soils-&cs=republish&cm=republish&cn=republish&cm1=1" /> This post <a href="https://horizon-magazine.eu/article/cultural-cross-fertilisation-rescue-soils.html">Cultural cross-fertilisation to rescue soils </a> was originally published on <a href="https://horizon-magazine.eu/">Horizon: the EU Research &amp; Innovation magazine | European Commission</a>. At Wageningen University in the Netherlands, scientists are coding an app that will allow farmers in countries as far away as China to compare soil quality with their smartphones. With a flick of the finger, farmers will be able to post soil test results to the cloud and share details on how they work their fields. The platform will allow food producers in similar climates abroad to assess the long-term impact of these farming techniques and the merits of applying them to their own crops. Since the introduction of the Nitrates Directive in 1991, the EU has limited the use of chemical fertilisers. In contrast, China’s wheat fields rely on chemical inputs, which gradually erode the quality of their soil. By offering a window into what has worked well in Europe, iSQAPER can help wean Chinese farmers off unnecessary growth additives. Likewise, the app allows vast testing facilities in China to share their results with EU researchers on emerging environmentally-friendly farming techniques. Cross-checking results has long presented a challenge in agronomy. Harvests vary each year depending on uncontrollable variables such as pest invasions and the weather. At present, agricultural records tend to be local and fragmented. Few farmers test their own soil and each country adopts its own metrics to evaluate field outputs and soil quality. Tools like iSQAPER are bringing big data within reach of agronomists for the first time. The iSQAPER consortium will test its app across 14 sites in the EU and China before releasing a full beta version this summer. If the right testing standards and data ownership measures can be introduced, these measurements could turn into the first truly representative data sample on global soil. An archive on this scale would prove useful to check the effectiveness and sustainability of different farming techniques. It’s a perspective that is urgently needed. According to Professor Oene Oenema at Wageningen Environmental Research, an increasing use of machinery, chemical fertilisers and pesticides in modern-day farming could be masking a worrying decline in soil quality. In China and other major food markets, the solution has long been to increase the dose of chemical fertilisers and pesticides. This ticking time-bomb places future agricultural yields at risk. As part of a project called SoilCare, funded by the EU, Prof. Oenema is helping identify and evaluate promising soil-improving cropping systems from 16 test sites across Europe. These involve, for instance, natural pesticides, smarter crop rotations and tricks to redress local populations of pollinators. SoilCare coordinator Dr Rudi Hessel, also at Wageningen Environmental Research, says that controlled experiments are exposing established farming techniques to the scrutiny of science, sometimes running against millennia of malpractice. The declining quality of our soils, known as soil degradation, could have dramatic impacts on our food system. The Food and Agriculture Organization of the United Nations (FAO) estimates that 95% of our food is directly or indirectly produced on soils and the vast majority of food-producing plants need healthy soil to grow. It also impacts climate and health. Soils are one of the largest carbon storage areas on Earth, holding about twice as much organic carbon as above-ground vegetation, except in tropical ecosystems. Poor soil quality could not only reduce this function but also lead to a greater incidence of diseases such as tetanus or parasites such as hookworm. In 2012, the EU’s Joint Research Centre estimated that the yearly cost of soil degradation due to human activities and natural causes in the EU could be €38 billion a year.